My story began sometime in the spring of 2013. I was involved in a program that introduced the possibility of social businesses to first-years. I loved the exposure to possibilities; a certain way of thinking of what could be. I searched for a motivation, a reason. Even on a campus that constantly inspires me with its compassion and worldliness, I felt a disconnect to anything related to the Southeast Asian region. This bubbling region of exciting cultures, people and opportunities that I call home has so much to offer; I could bring a slice of it to campus. I found my “Why?” in the absence of a presence. My story continues in the search for a way. I started out with wanting to start a business. Something that connected Yangon and Boston, I thought. A social business, like the one that I have worked at for the summer before school. I wanted to do many things. I wanted all this ten thousand miles away from home. I threw out ideas and questioned the situation. But there were no answers. There could be no answers when I knew too little about what’s really happening on the ground. I must first learn to walk, before I can fly. I made up my mind to spend the summer in Yangon in the search for answers. My story ends (not entirely ended; work still in-progress) with a lucky concoction. What exactly do I want to find out about Yangon? What can I do to find these answers? There are layers upon layers that make up a society. Even it if it is in my own society, it would be an endless attempt to try to peel all of it. I had to start somewhere – and I knew what interested me the most as a Burmese-Chinese girl who has moved through different landscapes. I knew I wanted to explore the lives of women in Yangon. 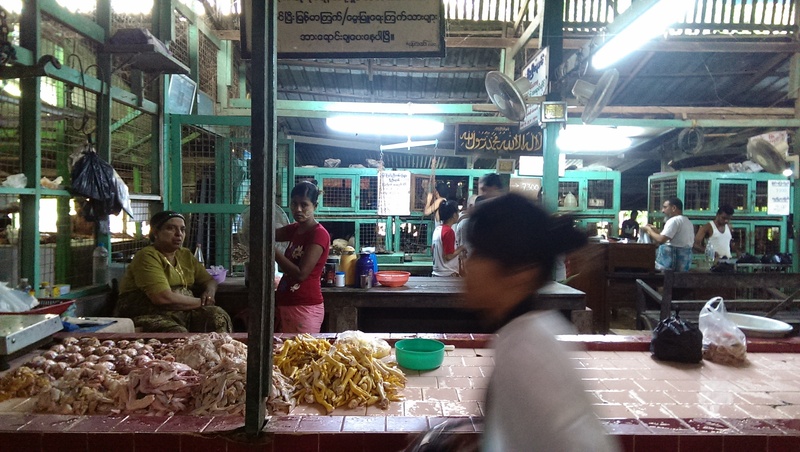 What does it mean to be alive as a woman in Myanmar now? What are the social codes that govern the ways of a woman? Are there any? What is, then, expected of me if I were to want to be a woman in my own country? By a strike of some unplanned and unexpected luck, I connected with a friend who shared a similar interest in seeking for answers. Through her, I learnt that answers could be found through stories. In fact, better answers. Truer answers. We came together to start on this documentary project – an exploration through narratives, through film. More luck came our way when we found a local production partner, a team which turned out to be nothing less than amazing, and generous support from school. Somehow, a concoction brewed. I learnt how to walk in the past 8 weeks. Baby steps. Two weeks of research, a month of filming and a week of review later, I finally catch a breather. I sit down and think about how things have assembled in the past few months.